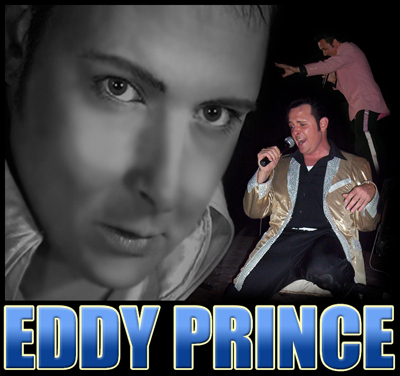 Eddy Prince available for Corporate Events, clubs, fundraisers and parties. A live on-stage re-creation of the explosive energy and sound that shaped modern music. The 'Eddy Prince Show' offers a full scale production that includes dancers, band and Las Vegas stlye light show. We are also able to accomadate smaller venues depending on availability. Based out of Niagara Falls, this award winning show is available world wide.